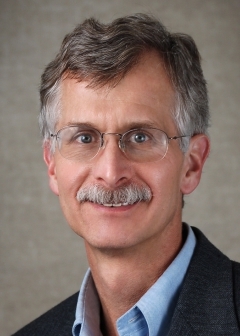 William Fisk is a senior scientist, mechanical engineer, and leader of the Indoor Environment Group at Lawrence Berkeley National Laboratory (LBNL). During his 33 years at the lab, he has researched the interrelated issues of building energy performance, ventilation, indoor environmental quality (IEQ), and occupant health and performance. His research focuses primarily on energy efficient methods of maintaining and improving ventilation and IEQ in buildings and on quantifying the impacts of building ventilation and IEQ on health and performance. He is a fellow of ASHRAE, a member of the Academy of Indoor Air Sciences, and is an associate editor of Indoor Air Journal. Q: How would you characterize your work at LBNL? A: I lead a research group, and I conduct research myself. One line of research is investigating how to control levels of air pollutants inside buildings that are energy efficient, including research on a new catalytic air cleaning technology. We also study how to retrofit homes to simultaneously save energy and make the indoor environment more healthy and comfortable. Another area of research focuses on how outdoor air supply rates or other factors in buildings affect people's health and performance. We work with actual buildings, collecting health information and building characteristics. Then we use statistical models to see which factors are affecting health or performance. Sometimes we change something in the building, like the ventilation rate or type of particle filter—and see how the change affects people and their experience. Sometimes we bring people to the laboratory to test how changing parameters affects their perceptions, health symptoms, or work performance. Finally, we often perform statistical meta-analyses of related published data, for example, to determine how dampness and mold in homes affects health. Q: What in your life led you to your interest in your area of work? A: I was always interested in science and engineering. I was good at it in school, and I liked to take things apart and put them back together—a kind of "tinkering desire." I was interested in environmental issues because I developed a love for the natural environment, going camping and hiking. And I really wanted to protect the environment that I loved. Early on, when I started working in the energy field, I asked myself, "why do I care about energy?" And I realized it was because of the direct relationship energy has to the environment. When I started at the lab, there was less of an understanding about climate change. Like many in my generation, I wanted to work on the solar energy solution to that problem. I worked here at LBNL in solar energy program, which is gone now. As I was learning about that field, it became apparent that solar was a longer-term solution, and that the near-term opportunities for change were energy efficiency—and so I started working on energy efficiency as it relates to indoor air quality. If you are studying ventilation, you have to ask, "why do we ventilate buildings?" One answer is that most pollutant exposures occur when people are inside buildings. So, how does ventilation control that exposure? And I wanted to know how we could be more energy efficient in our ventilation designs. Eventually I got interested in how ventilation affects health and performance. We've had a growing understanding over the last 15 years that really demonstrates that the indoor environment does have impacts on health and performance. We now have numerous studies and can do meta analysis to make the most of existing data. We've learned that the indoor environment can affect allergy and asthma symptoms, absence rates, work performance, and comfort. And as I began to see that there was a connection and an effect, I became frustrated that there was not a lot of attention on the subject. So I started to learn how to translate effects on people's health and performance into dollars. I have found that economic estimates can motivate people to improve the indoor environment when they recognize that the economic benefits far exceed the implementation costs. For example, I worked on a recent 2-year study where we tested the effect of different rates of outside air supply in160 classrooms in California. We tracked the classroom outside air rates and we got information from the school on absences, particularly sick days. We found that less outside air correlates with higher absences. If California school districts would improve outdoor air supply they could get more money from the state for higher attendance. Q: What research are you the most excited about now? A: One exciting and important finding that has come out of a recent study has to do with the effect of carbon dioxide on people. Because CO2 is a respiration bi-product, the level of CO2 is usually higher inside a building than it is outside—how much higher it is inside depends on the number of people inside and on the amount of outside air that is brought into the building during ventilation. We've known for decades that there is a statistical association between high levels of CO2 and health issues, more absences, and worse work performance. CO2 levels go up and down, and the standing theory has been that it was a marker or proxy for other pollutants, and that those other chemicals were the ones having an adverse affect on health and performance. But recent studies have found that, just by itself, CO2 had quite an impact on high-level cognitive functioning. This decision-making performance has to do with how well we use information and make decisions. This was an awakening—that this decades-long dogma that CO2 levels don't directly affect us is not actually true. I don't quite know where this research might go, but it is very exciting. Q: Where would you like to see research on the indoor environment go in the future? A: I would like to see us develop a much broader understanding of the consequences of the indoor environment on people. For example, what is the role that the indoor environment plays in the increasing instances of asthma and allergies in the developing world? And what role does it play in increasing rates of transmission of communicable (respiratory) disease? We seem to accept these kinds of diseases as a fact of life, but there is evidence that the conditions in our buildings can affect the rate at which we contract these diseases. Another important area is the indoor exposure relationship to endocrine disruptor chemicals present in some flame retardants and plasticizers. Chemically similar to hormones in the body, these chemicals affect our development and also regulate metabolic processes. It's possible that even very low levels of exposures to these compounds can affect us. I would also like to see an ability to produce extremely energy efficient buildings, while at the same time maintaining building comfort and health for our people. Q: What would you like readers to know about your research area? A: Climate change is happening and will continue. There is a role for my field: finding ways to ensure that our buildings provide healthy and comfortable environments as we seek to mitigate climate change and adapt to the changing climate. For example, more heat waves, forest fires, or severe storms will affect our exposure in our buildings. And we sometimes forget that the purpose of buildings is to provide shelter as well as comfortable and healthy indoor conditions that we can live and work in. In a workplace, the big cost is the cost of people and their salaries—the costs of people dwarf the costs of running and maintaining the buildings. Relatively modest investments in indoor air quality can have a big impact on the health of people.